From now until January 31, 2011, the Boston Public Library is hosting The Public Life of Poetry: Whitman, Dickinson, Longfellow, and Their Contemporaries—an exhibition that pulls together a wide range of 19th-century temperance poetry, abolitionist poetry, broadsides, ephemera, occasional verse, poetry scrapbooks, and books and manuscripts relating to Walt Whitman and Emily Dickinson. Because of recent budget cutbacks, P&PC was unable to score a plane ticket and make it to Boston to give you a first-hand report. However, we did get a chance to catch up with Nadia Nurhussein (next picture below), the show’s primary organizer and Assistant Professor of English at University of Massachusetts at Boston. Here’s what she had to say. 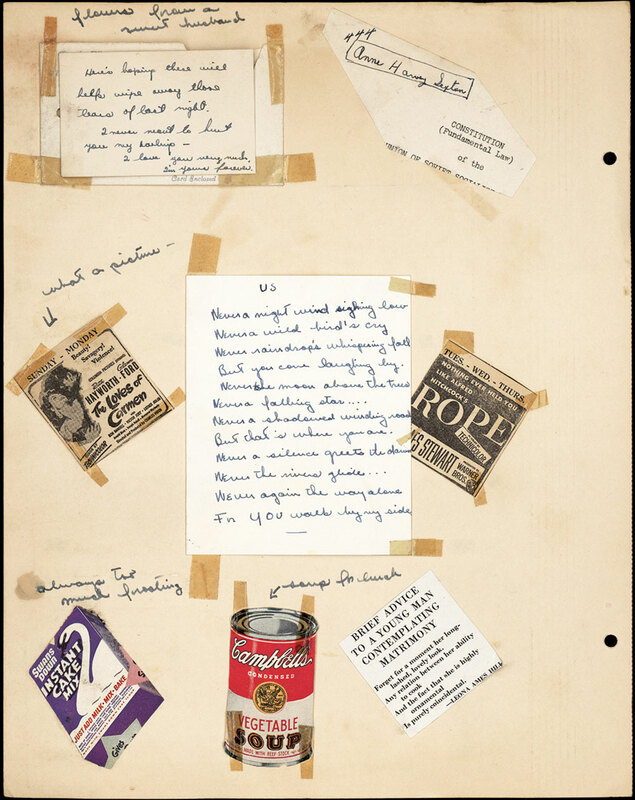 Poetry & Popular Culture: How did this exhibition take shape? P&PC: What’s your favorite part of the show? NN: One of the exhibit’s most exciting cases is devoted to Longfellow parodies. 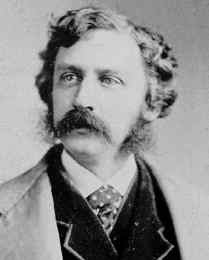 My favorite is Bret Harte’s “Excelsior”—an 1877 versified advertisement for the popular Sapolio soap brand. As Gary Scharnhorst has pointed out, Harte (pictured here) turned to advertising when his famed literary career was collapsing, selling “Excelsior” to Enoch Morgan’s Sons for $50. Unlike Longfellow’s hero, who carries a banner and summits a mountain with “Excelsior!” as his motto, Harte’s “youth…bore, through dust and heat / A stencil-plate, that read complete—‘SAPOLIO!’” He finds space to hawk Sapolio on crowded fences, alongside similar ads for Bixby’s Blacking and Mustang Liniment. P&PC: If only he could have put up billboards like Burma- Shave did. NN: That wouldn’t have been good enough for him. He is so thoroughly a product of late 19th-century advertising that, with stencil in hand, he comically defaces even the natural landscape with the language of commerce. Not satisfied with fences, he manages to get paint to stick to a snow bank and paints every rock on White Mountain, where tourists “to their dismay, / …read that legend strange, always—‘SAPOLIO.’ Finally, he even paints the tourists’ luggage when they get to the top of the mountain! P&PC: That doesn’t seem to be the best p.r. campaign for the advertising industry, does it? P&PC: Were there other Longfellow parodies? NN: The most parodied Longfellow poem was probably The Song of Hiawatha—and Longfellow was well aware of the parodies. In an 1877 letter addressed to Karl Knortz (who translated Hiawatha into German), Longfellow replies to Knortz’s request for the titles of Hiawatha parodies with which he is familiar. Knortz initially names four parodies, but Longfellow comes up with two more. NN: There are some amazing scrapbooks at the BPL. 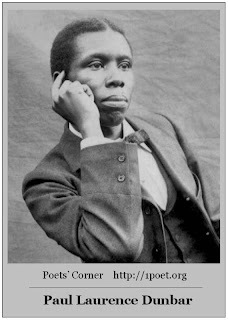 One of my students found one by a man named Julius L. Brown. There was no further information about him in the card catalog, but my research leads me to believe that he was the same Julius L. Brown whose father was Joseph E. Brown, an unpopular governor of Georgia during the Civil War, when this scrapbook was compiled. He was an eccentric graduate of Harvard Law School and was described by the New York Times as a "collector of the rare in all things." Another interesting scrapbook, elaborately bound and formally titled Lexington, Concord and Bunker Hill 1775-1875, was compiled by Mellen Chamberlain, a 19th-century BPL librarian. As the title suggests, he was interested in collecting material related to Revolutionary War battles, including poetic treatments of these battles by Holmes, Whittier, and Emerson (pictured below). We are displaying a fair copy of Emerson's "Concord Hymn," accompanied by a letter by Chamberlain explaining how he came into possession of the manuscript. 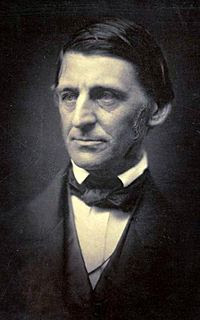 He writes that Mrs. Charles Porter, Emerson's cousin, offered to "prevail upon Mr Emerson to transcribe his battle hymn into the volume" if Chamberlain would travel with her to Concord. Chamberlain also notes that Emerson, whose "health was considerably broken," died soon after. P&PC: What do you mean by occasional verse? Does "Concord Hymn" qualify? NN: "Concord Hymn" does qualify as occasional verse: it was written and performed at the dedication of an obelisk erected to commemorate the battles at Lexington and Concord. The Mellen Chamberlain manuscript is in the scrapbook case, but the occasional verse case includes a print copy of the poem (donated to the library by the family of William Lloyd Garrison) that was circulated at the event apparently for the purpose of audience participation. Another interesting bit of occasional verse is a poem written by Holmes for the laying of the cornerstone of the BPL's McKim Building in 1888. On the underside of the cornerstone, two pieces were cut out to accommodate copper boxes that served as time capsules commemorating the ceremony, and Holmes's poem was one of several items placed inside. P&PC: When I think of Dickinson, I don’t necessarily think “public.” How does she fit into the show? NN: The exhibit focuses mainly on the marketing of Dickinson immediately after her death. Some of the correspondence between Dickinson editors Thomas Wentworth Higginson and Mabel Loomis Todd surrounding the first and second "series" of Poems is displayed, along with the books themselves. One of these letters talks about the cover illustration of an Indian Pipe—a rare white flower that seems to have been chosen to evoke the sense of reclusiveness that was already associated with Dickinson. 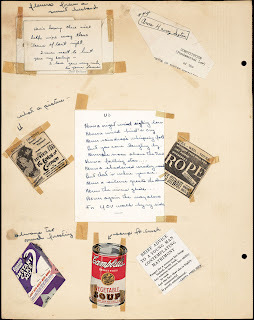 Her strangeness and reclusiveness were part of the marketing strategy; the preface to Poems, for example, calls her "a recluse by temperament and habit, literally spending years without setting foot beyond the doorstep." 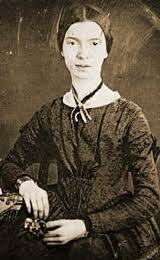 The "public" Dickinson is also reflected in two poems published during her lifetime, probably without her permission: "The May-Wine" (known as "I taste a liquor never brewed") in The Springfield Republican, and "Success" (known as "Success is counted sweetest") in A Masque of Poets. Both were published anonymously. The exhibit also includes a letter from Lavinia Dickinson, thanking Higginson for "giving Emilies wonderful letters to the world"—in other words, for making her public. P&PC: If you were to do a companion exhibit on the public life of 20th-century poetry, where would you start? Perhaps a companion exhibit could begin with the Beat movement, which I think penetrated popular culture in a way that no other 20th-century poetry movement did. I remember watching cartoons that made fun of "beatnik" readings. And apparently Herman Munster was a Beat poet, as Angela Sorby wrote about for P&PC! 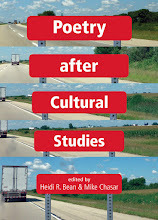 Even today, the depictions of poetry readings in popular culture usually correspond to those stereotypes of Beat readings. P&PC: What’s the feedback been like so far? 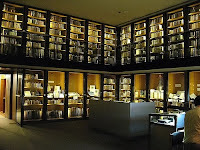 NN: I've heard from the staff at the BPL that visitors to the exhibit seem to be spending more time looking around than they have with exhibits in the past, which is encouraging to hear. 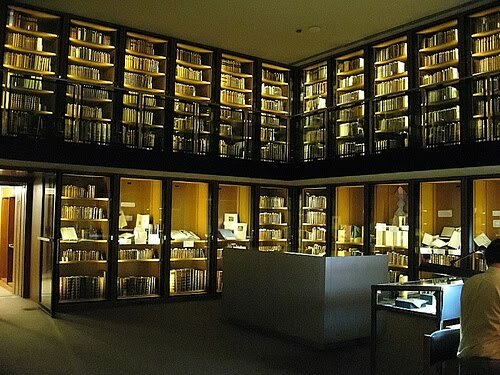 Susan Glover, who holds the title of Acting Keeper of Prints, Rare Books, Manuscripts and Archives at the BPL, suggested that I try to include more visual materials, and I suspect that that has made a difference. Even people interested in books don't necessarily want to look at cases and cases of print! 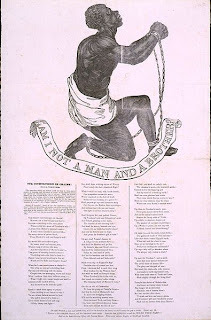 So, items like the broadside of Whittier's "Our Countrymen in Chains!," with its striking wood engraving of a supplicant slave captioned "Am I Not a Man and a Brother?" (the central image of the anti-slavery movement), show how verse and images were integrated—in this instance, to make the strongest possible argument against slavery. The exhibit will be up until the end of January, so I hope that P&PC readers who have plans to be in Boston during the holidays will stop by!